Moto-sheets.com offers a variety of services to federations and clubs. 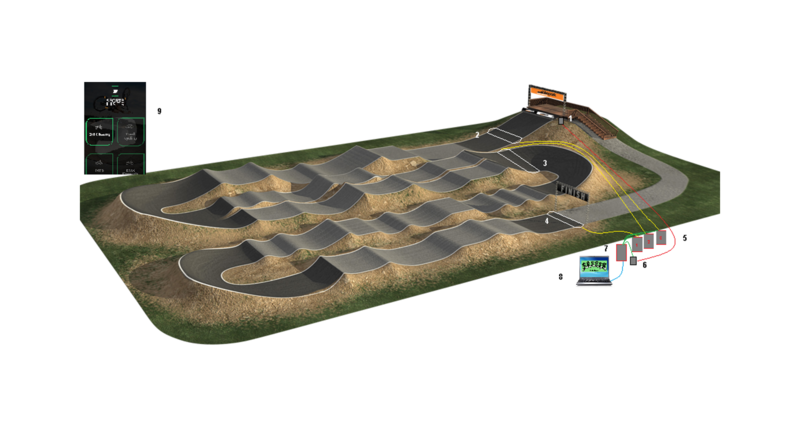 This is an example of a basic layout for a BMX Track used for event scoring. Our sofware allows up to 10 timelines to be recorded at one time, and can be implimented in race and training situations. For event scoring, only 2 timelines are needed that can be run off 1 decoder. In training, depending on the training exercise, up to 10 timelines can be implimented at the same time. All times are then uploaded to SportsLists for live viewing on your Smartphone or tablet. 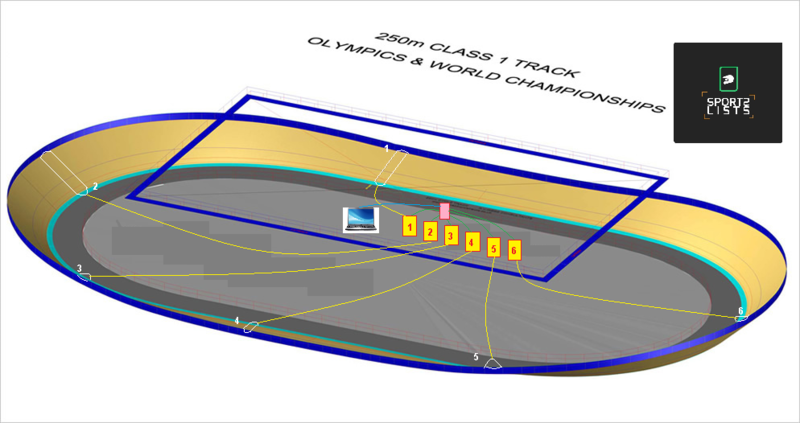 BEMTrain also has Scoreboard display functions for live timing displays within the Velodrome. Here are some examples of packages available. We do also customise packages to suit your requirements and needs. Speak to us and let us find a solution tht fits. For further details, please contact our sales team via our Contact form.